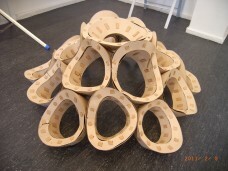 The objective of our project « Generative Ribbon » was to create a continuable generative curved surface assembling ribbons as constructible elements. 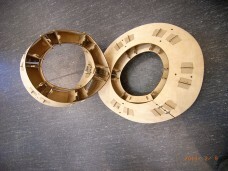 The first step was to consider the geometry of curve that is based on the tangent junction for efficient assembly of ribbon. 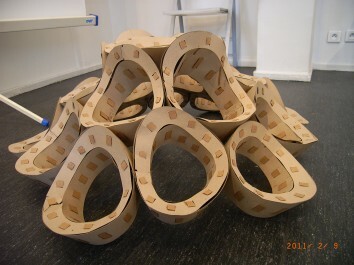 Then, we thought the « Honeycomb » as polygon that fills the plane. 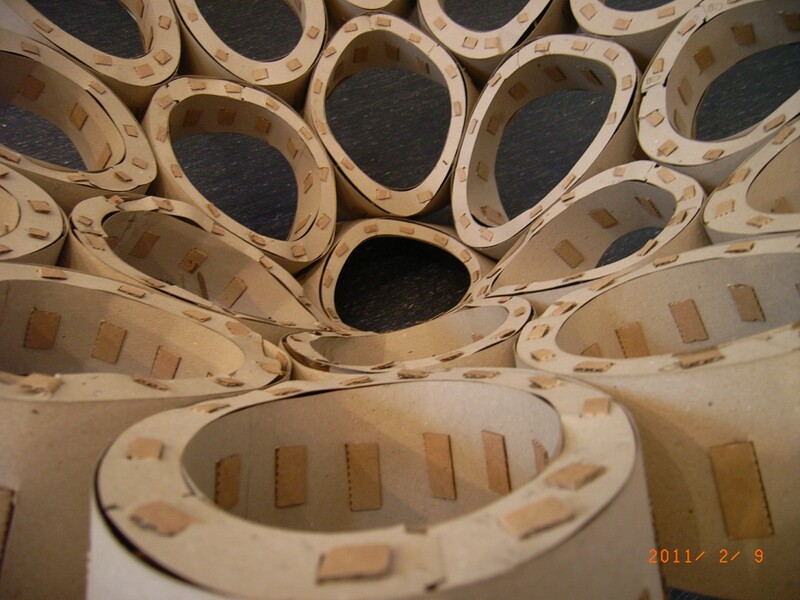 From this « Honeycomb », we obtain conic curves which consist of six tangent junctions within « Honeycomb ». The second step was to create a generative curved surface working with the tool « Powercopy » to amplify the formal potentiality parameterized. Our parameterization depends on the distance to a point to vary the heights of « Ribbons ». 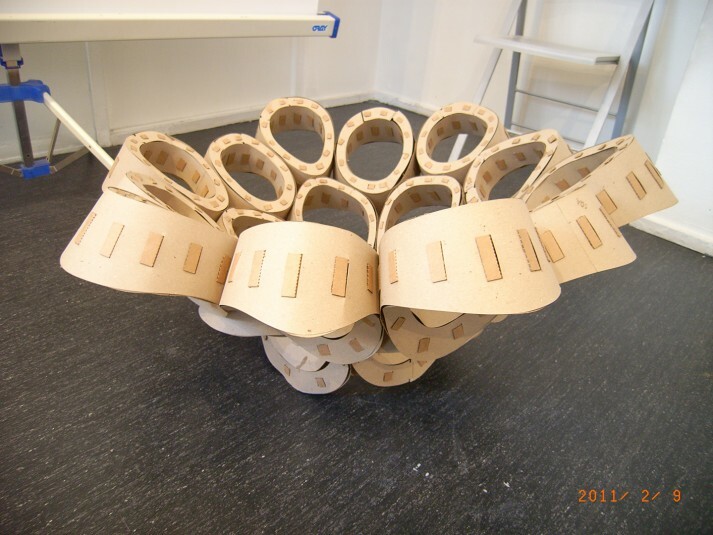 Then, we created surfaces of double ribbons to keep the constructive form. The objective of our project "Generative Ribbon" was to create a continuable generative curved surface assembling ribbons as constructible elements. The first step was to consider the geometry of curve that is based on the tangent junction for efficient assembly of ribbon. 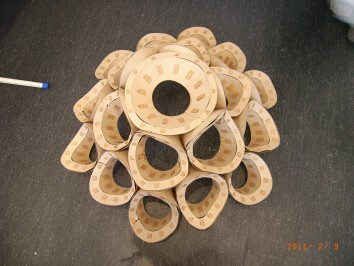 Then, we thought the "Honeycomb" as polygon that fills the plane. From this "Honeycomb", we obtain conic curves which consist of six tangent junctions within "Honeycomb". The second step was to create a generative curved surface working with the tool "PowerCopy" to amplify the formal potentiality parameterized. Our parameterization depends on the distance to a point to vary the heights of "Ribbons". Then, we created surfaces of double ribbons to keep the constructive form.